Jeff Cotton isn’t a betting man, but that isn’t stopping him from working with boys and young men growing up in some of Battle Creek's most impoverished areas to help them beat the odds. 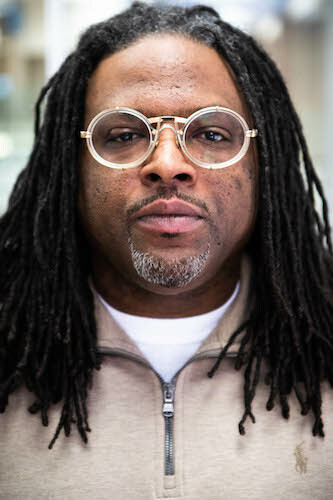 In 2014, he founded Big Homies, Inc., an after-school program for children who are at risk of becoming caught up in the same behaviors that sucked Cotton in and landed him in prison for 13 years on an attempted murder charge. The program is offered at New Level Sports Ministries as a way to give boys and young men a place to go that’s free of drugs, alcohol, guns, and violence. A place where they can talk out their issues and feelings in a safe environment with business professionals, teachers, and former gang members, such as Cotton. That is what happens today. But, the initial meeting between Cotton and New Level’s Executive Director Pastor Christopher McCoy was rocky. “The first time he came in here, it was kind of a combative meeting,” McCoy says. “He had just gotten out of prison. I have certain standards that I just don’t move from. This is a faith-based organization and all of our teachings are Biblically-based. That has been our success. McCoy, who has known Cotton for a lot of years, says Cotton doesn’t categorize youth as bad or criminal and says it takes men with different skills, abilities, and talents to communicate with certain types of youth. “Jeff has that ability because of past history,” McCoy says. Cotton shares techniques he learned in a program in prison that helped him understand himself.Cotton was born in Kalamazoo and raised in Battle Creek’s Washington Heights neighborhood when gang activity was rampant and drugs and violence were commonplace. At that time – the early 1980’s – he says the crack epidemic was hitting new heights along with an increasing number of people on the welfare rolls, and the passage of extreme sentencing laws. As the violent behavior of the men in his life escalated, Cotton says he too became increasingly violent as a result of the racism he experienced while living in the Level Park area. The house he shared with his mother became a gang headquarters. There was no one around to stop it. But, there were individuals in the neighborhood who tried to reach out and show Cotton and his fellow gang members that there were people who cared. In an ironic twist one of those people was Bishop Eugene B. McCoy who is the father of Pastor Christopher McCoy, Executive Director of New Level and Senior Pastor for Faith Assembly Christian Fellowship Church. These sporadic interventions weren’t enough to prevent the premature deaths of many of the gang members or the prison sentence Cotton received when he was 18-years-old, shortly after graduating from Battle Creek Central High School in 1993. Mandatory participation in a program while there, set Cotton’s life on a new trajectory. He wrote the program that would become Big Homies while in prison. That program called for him to open his mind and analyze what had taken place in his life. He also had to write a relapse prevention program that addressed what he would do when he returned home from prison and what he would need to do to come back to prison – that last option had never crossed his mind. The doctor who headed up that prison program taught Cotton new techniques that he believed would help him get into the minds of young men. However, he says the youth he deals with would not be nearly as receptive to those techniques were it not for his firsthand knowledge of gangs and his experience with life on the street. Jeff Cotton offers a program at New Level Sports Ministries where young people can talk out their issues.Campbell who has been on the staff of Lakeside Academy of six years, the last three as a Program Director, says Cotton has shared his story with the young men at Lakeside, which offers an intensive residential treatment program for youth who have severe drug abuse issues or have been involved in heavy gang activity, among other issues. Of 124 boys now there, between 30 and 50 are from the state of California where Lakeside has contracts with counties such as Riverside and Los Angeles. Last summer, Campbell brought a group of between 12 and 20 boys from Lakeside to Battle Creek where they met with Cotton in different areas of the city. Among the stops was a funeral home and a visit to the grave sites where Cotton shared stories about 20 people he knew who had been killed. The mother of two of those gunshot victims was there and talked about the night her son was killed. “It was waterfalls after that. We were all in tears,” Campbell says. With guidance from Cotton the young men were encouraged to process their thoughts and past emotional trauma. “This is very important for our kids,” Campbell says. “They don’t trust therapists, so this gives them a productive way to get things off their chest. I think Jeff’s biggest asset is that they know that he’s real and that he’s well-respected by people and gangsters in the community. Campbell’s experiences as a young man growing up without a father weren’t that far removed. He says his mom did the best she could, but their relationship was tainted because he looked a lot like his father which was difficult for his mother. He spent a lot of time with an older cousin who was a notorious drug dealer and says, “It was like training day every day on the streets” where he had plenty of exposure to guns, drugs, and violent behavior. 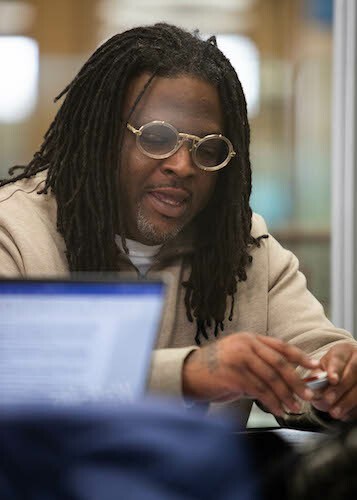 Before graduating in 2000 from Battle Creek Central High School, Campbell says he took his own approach to the streets and started doing his own thing. He says he did what he had to to survive and cover the cost of things like a cap and gown for graduation, senior pictures, and prom expenses because his mother didn’t have the means. But, he also completed a record 17 credits in his senior year of high school so he could graduate on time with his class. The cousin he used to hang out with was sentenced to 30 years in prison in 2001. When that happened, Campbell enlisted. He served in Afghanistan and Iraq and then enrolled at Western Michigan University when he returned. There he earned a Bachelor’s degree in Social Work and a Master’s degree in Educational Leadership. Cotton says he realizes that someone younger is always paying attention to everything someone like him does. He has helped to establish similar Big Homies programs in cities such as Chicago, Illinois, Flint, and Saginaw. He also has received support from former gang members who have expressed an interest in wanting to make their communities better and current gang members who have worked with him to prevent gang wars in places like New York City, Flint, and Battle Creek. McCoy says Cotton has established relationships and is engaged with hundreds of youth and families in Battle Creek. “New Level is an organization which moves families and children forward. With his influence, we will have access to more youth,” McCoy says. Cotton’s outlook is a bit more direct and focused. “My job is to stop these guys from killing each other. That started off as the primary focus and it still is,” he says. “I want to take that same energy and apply it to the streets and improve these communities that we helped to destroy and help little kids avoid the mistakes we made.